CD ltd to 500 copies worldwide, in gloss laminated mini gatefold sleeve. 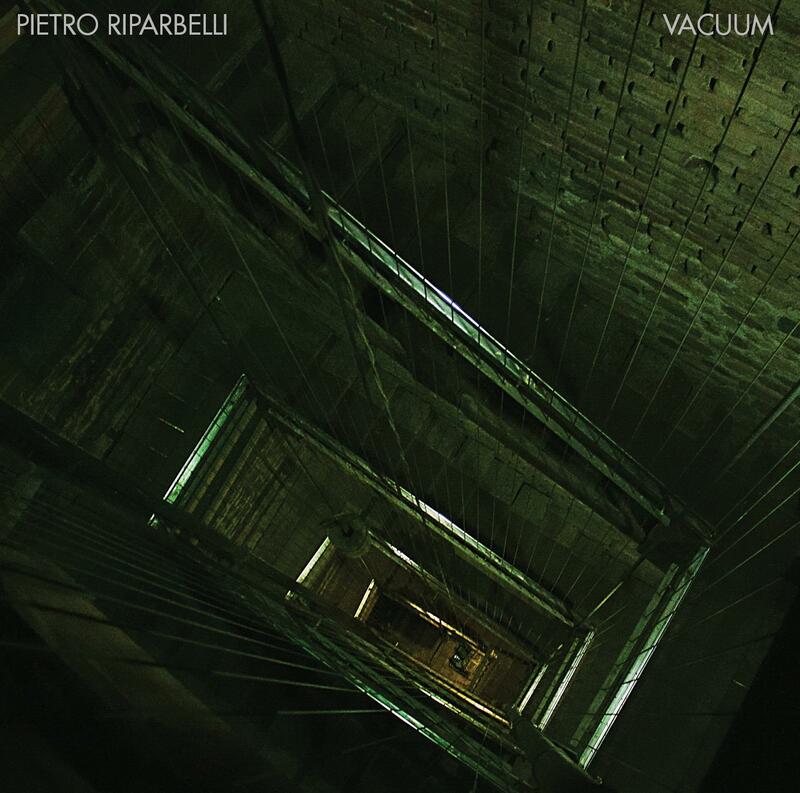 Italian sound-artist and composer Pietro Riparbelli presents his 'Vacuum', a symphony in six parts: forty minutes of suspension of time and gravity. Field recordings from empty spaces collide with the reverb from walls, floors and ceilings in empty spaces – rounded with a sleep, a lucid dream in vacuous disconnection from tactile time and space. A flowing meandering stream of melodic flows and rich analogue textures provided by vintage Italian 70s synthesizers launches 'Vacuum' into the outer reaches of the Stratosfear. 'As I foretold you, were all spirits and melted into air, into thin air…' as Riparbelli's tempest defragments into an inner journey within the void, his jump is a compelling case for mediated personal explorations on the treshold of nothingness, a point in case for the ticking countdown towards the jump off moment, the aural eye of the storm in which all dissolves: a play of forceful magnitude with the ears as movers, shakers and actors, main protagonists, playwrights and performing directors of the plot not given lightly but full of mythical potential. compositions have been published by TOUCH (UK),Important (US), Dirter Promotions (UK), Gruenrekorder (DE), Radical Matters Ed/Label (IT),Utech (US), Afe Records (IT), Boring Machines (IT), Cold Spring (UK). Papesse (Siena), Flora (Florence), Fundació Tàpies (Barcelona), Base progetti per lʼarte (Florence). Modenese Palumbo, Francisco Lopez, Christina Kubisch, Seth Cluett, Yannick Franck and others. new series “Metasound” investigating the dimension between music and contemporary art. He is a member of A.I.P.S. ( Archivio Italiano paesaggi Sonori). between the visible and the invisible is closely connected to his conceptual address of the ʻsonic landscapeʼ.